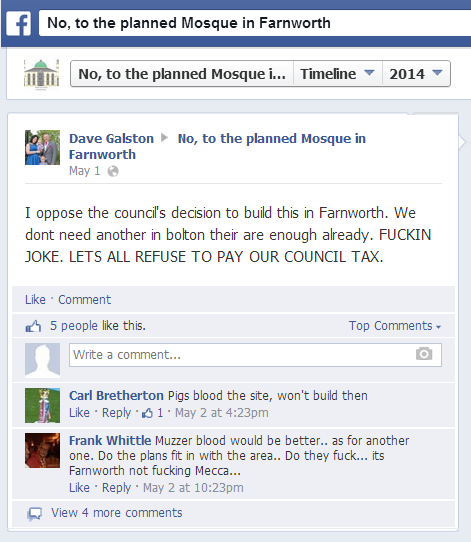 Hardly a terrifying example of the creeping Islamification of Farnworth, you might think, but that hasn’t prevented the far right from whipping its supporters up into their usual racist frenzy over the issue. 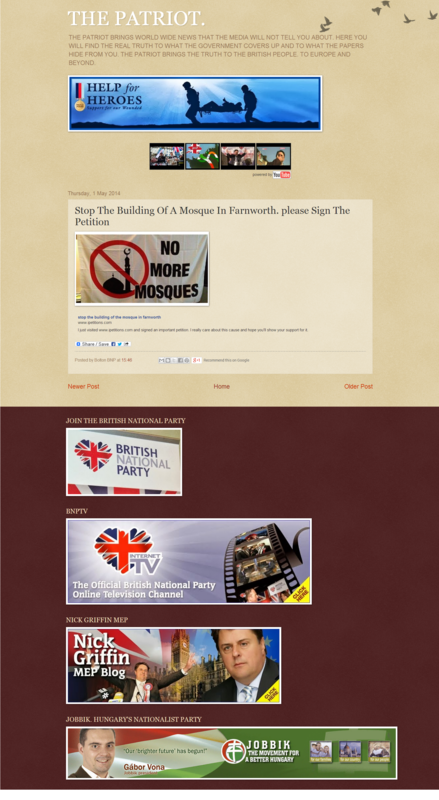 An online petition against the development has been launched, with the backing of the fascist Bolton Patriot website. So far it has attracted over 500 signatures, along with the usual vituperative abuse of Muslims (“Cannot believe how the western wold allows the scourge of the world race who are so barbaric and full of hatred take over. Absolutely sickens me. I cannot stand what they stand for and don’t even consider them human”). 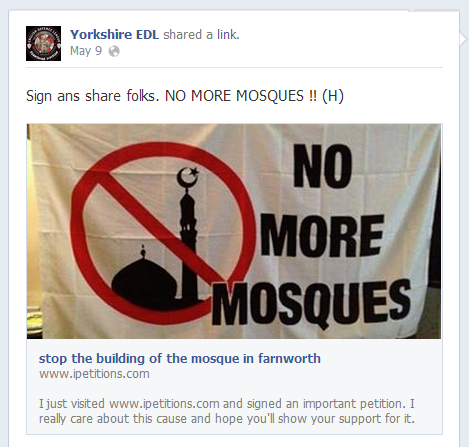 Although the petition declares that “we as boltonians are against the building of the three story mosque in farnworth”, it is questionable how many of the signatories actually come from Bolton, given that far-right support is being organised as far away as Yorkshire. There is no question as to the origins of this petition, though. As you can see, it features the very same banner that was displayed by the Bolton branch of the British National Party when they held a protest against the mosque plan outside the town hall last Saturday. 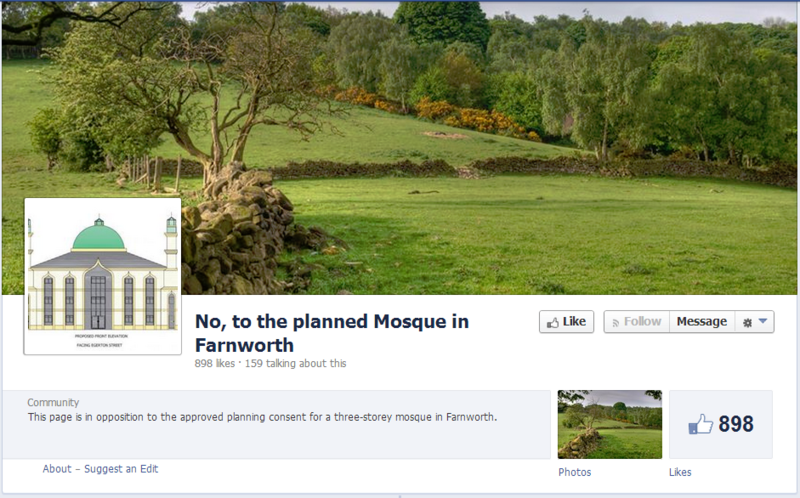 There is also a Facebook page, “No, to the planned Mosque in Farnworth”, which has promoted the BNP petition. It has been “liked” by nearly 900 people, at least two of whom – Carl Bretherton and Frank Whittle – are Bolton residents. 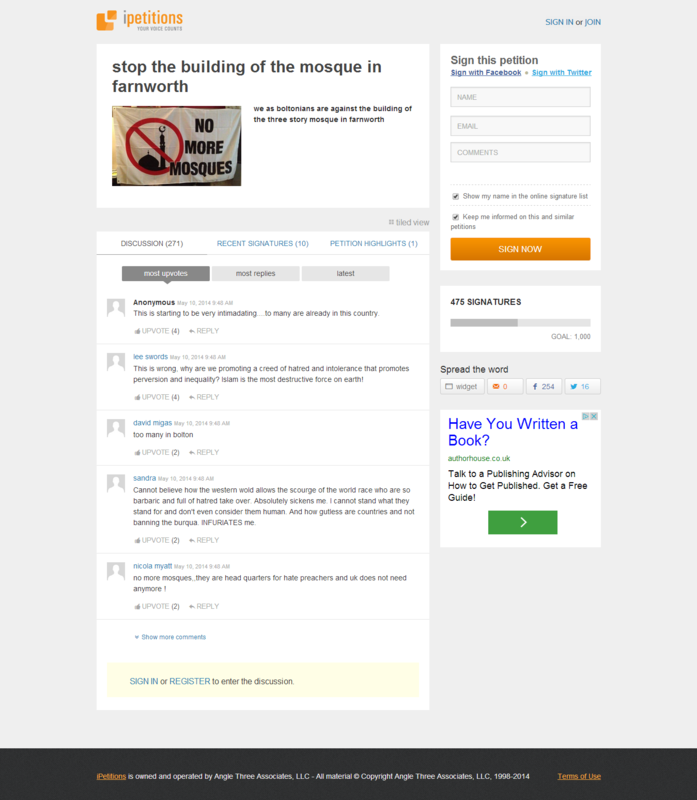 Bretherton has posted the suggestion “Pigs blood the site, won’t build then”, to which Whittle responds “Muzzer blood would be better”. Greater Manchester Police have been informed.